Have you ever lost someone? I’ve lost my grandparents and, more recently, my father-in-law. It’s tough! Each person grieves in his or her own way. What helps one person may not help the other person at all. And the timing is different for everyone. 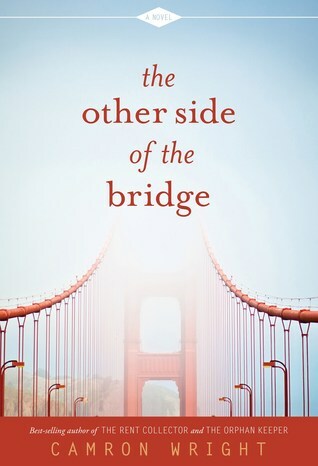 The Other Side of the Bridge by Camron Wright delves into the difficult world of loss and suicide. Two very different characters handle the loss in their lives in their own ways, but they have one thing in common: the bridge. “Katie Connelly has lived in San Francisco all her life. Her late father made his career on the Golden Gate Bridge, and the many stories of how he saved jumpers still haunt her. And now her job assignment is to write about the history of the bridge—a history that includes a secret journal about a promise ring and a love story that may be the answer to her unresolved sorrow. 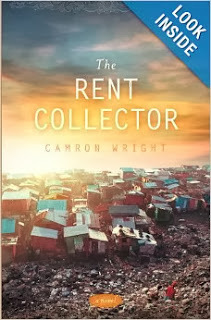 I loved Camron Wright’s The Rent Collector. Therefore, when I had the chance to review his new book, The Other Side of the Bridge, I couldn’t resist! The story switches between Katie Connelly and Dave Riley. I thought that the character development was pretty good, overall. Katie lives in San Francisco and recently lost her father. She works at the university doing research. Dave lives outside of Manhattan. He works in marketing at a big company in New York. He is dealing with a tragic loss. The writing switches between the two characters. I didn’t find it difficult to switch. Katie’s story is written in italics to help distinguish between the two of them. I also thought their voices were different enough. Of the two, Katie definitely stood out to me as more relatable and amiable. Dave isn’t quite as likable, and although his story is tragic, it is also harder to relate to. Katie’s grieving feels more “normal,” if you can say that, where Dave definitely takes it to the extreme. Don’t get me wrong, I felt empathy for Dave, I really did. However, his extreme reaction compared to his feelings at the beginning of the book made it seem like a discord to me. Who am I to say though? I’ve never experienced what he did. The event that happened at the end, after he technically reached his destination (I’m trying to not give anything away here…), was a bit much for me. It felt over the top and out of place, in my opinion. One of my favorite things in the book was learning about the Golden Gate Bridge, how it was built, and the people that built it. Patrick O’Riley’s story is so good, and I enjoyed reading through his journal with Katie. I loved learning about the Claddagh faith rings. With this crown, I give my loyalty. With these hands, I promise to serve. With this heart, I give you mine. I think they are beautiful, and I love the meaning that they have. That part of the story was my favorite. At first I felt that the book would be very predictable. Some of it was, but not in the way I originally thought. What I originally predicted was way off course, thankfully. However, I felt disappointed by the moment at which the characters cross paths. I had hoped for a little more, but I guess it fit for each of them. The ending felt a bit rushed, but I liked it. The book as a whole felt a bit depressing, but it talks a lot about overcoming loss in your life. It also delves into suicide. Both of these topics need to be discussed, so why not allow people to learn through a good story? We all grieve differently, and there’s no right or wrong way to experience grief. I did like the lessons it taught about overcoming, moving on, and learning to live again—guilt free. 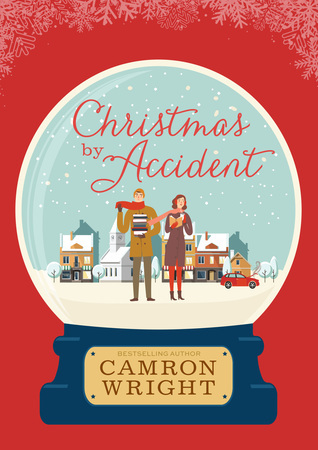 Overall, I liked The Other Side of the Bridge by Camron Wright. Unfortunately, I didn’t like it as much as I liked The Rent Collector, but it’s a good, thought provoking read. Wow! That about sums it up. Wow. This story is amazing. I was hooked from the first paragraph, and could not put it down. I laughed, cried, got angry, felt so blessed, and fell in love with these characters. Sang Ly may live in a dump, but she is an inspiration to me and those around her. Teachers across the world would give anything for more students like her. Her journey and her drive to learn are simply incredible. Sang Ly’s attitude about life at the dump is realistic. Some days she hates it, and some days she feels blessed to be there. I can’t even imagine. The love she has for Nisay and Ki Lim brought me to tears several times. I know that love. I feel it in myself. Ki Lim is also an inspiration. The love he has for his family also brought me to tears. When he ran around the city looking for Sang Ly and Nisay at all the different hospitals it made me cry. He sticks by Sang Ly, even through all her crazy investigative work and dreams, and supports her always, even though sometimes he may want to roll his eyes and walk away. Sopeap Sin is an amazingly complex woman. She evokes many different emotions in this book. At times I hated her and her gruff ways, and others times her kindness and selflessness humbled me. Thinking of Lucky, a mere child, living by himself at the dump, made me sick to my stomach. How sad. The mother in me just wanted to bring him home with me and take care of him. As you can tell, the characters in this book are so well done. They became my friends, my neighbors, and an inspiration to me. If they can have a positive attitude and a grateful heart while living in a tiny shack in a dump, then I should never have reason to complain. I live in a beautiful home in a beautiful area, I have a fabulous husband and four incredible children. We have doctors and grocery stores, hospitals and pharmacies nearby. I have food to eat and to give to my family. My husband has a good job and I am able to stay at home with my children. We have wonderful families and great neighbors. I am truly blessed. I thought the story was amazing. It is a novel, but to find out that Sang Ly, Ki Lim, Nisay, Lucky, and the Healer are all real people brought tears to my eyes. There are pictures at the end showing these people actually living like the characters in the story. I know there is a lot made up, but to know it is based on these real people somehow made it all the better. The writing draws you in and holds you captive, and the lessons this book teaches are priceless. It did jump around quite a bit, but it wasn’t too hard to figure out. I loved this book and highly recommend it! There is a little bit of language in this book and some violence. There are beatings and other gang violence, and there is a girl the gangs want to sell into prostitution. Thankfully, that doesn’t happen. They live in a harsh environment, so there are a few instances that are hard to read about, but they are some of the moments that the characters grow the most from. This is definitely one of my new favorite books. Recommendation: 12-13 and up. I’ve been debating since I finished if I’ll let my 12 year-old read it. I think it is okay for him to read, but I don’t know if the lessons will be lost on him. And that is a huge part of the story. I’ll let you know.